The British–Yemeni Society in association with the London Middle East Institute at SOAS invites you to its last lecture for this year which will take place on Thursday 6 December 2018 at 18.00 in the LMEI Building (21 Russell Square, London WC1B 5EA). Dr Luca Nevola will give a talk under the title "Huthis in the Making: A Case Study in the Politicisation of Hashemite Descent". This draws from his fieldwork in 2013 during which he witnessed the gradual Huthi ascent to power and local responses to the "arrival" of the Huthis in his fieldwork area of Bani Matar, south of the capital Sana'a. 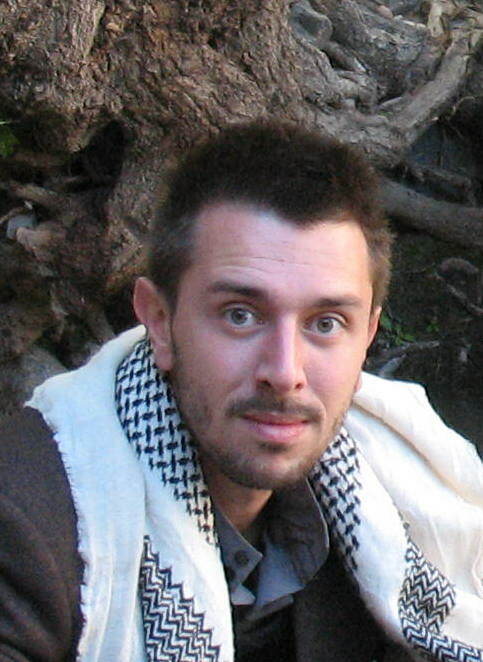 Luca holds a PhD in Socio-culutral Anthropology from the University of Milano-Bicocca. He has undertaken several periods of fieldwork research in northern Yemen since 2009, especially in Bani Matar and the old city of Sana'a. His doctoral research examines the role of genealogical constructs in essentialising professional caste groups in the Yemeni highlands. Since 2011 he has been a research associate at the Yemen College of Middle Eastern Studies (YCMES) and member of the Italian Society for Middle Eastern Studies (SeSaMO). He received his MA in 2010 with his dissertation "Qays wa Leyla: Honour and Love in Contemporary Yemen". Currently, he works as a researcher on a Yemeni elites project at the School of Global Studies, University of Sussex and as legal adviser in a reception facility for asylum seekers in northern Italy. He has recently written for OpenDemocracy: On Colour and Origin: The Case of the Akhdam in Yemen and the Journal of Ethnographic Theory: Destiny in Hindsight: Impotentiality and Intentional Action in Contemporary Yemen. As this is our last even for 2018 drinks will be available for guests after the talk. There will be a charge for this event: £5 for BYS members, £10 for non-members and free attendance for current students. If you wish to attend please register with the Hon Secretary Audrey Allfree by e-mail: sec@b-ys.org.uk or telephone: 020 7731 3260.